This special moon gives all of us the opportunity to celebrate the preciousness of our lives. It’s been 33 years since the last super moon and total eclipse has happened, and it won’t happen again till 2033. Let’s use this special event to pause, reflect upon our lives, and think about how to go forward from here on out. Join us and also take the time to look at your life with the eyes of a Radiant Heart, full of appreciation and wonder. Use 1982 or your birth year as a reference point to see what has happened and to become aware of the strength, the love and the wisdom you had while you lived through your experiences. Share your beautiful life story with someone else on Sunday, September 27th, at 10:47 pm., We can inspire one another to see life as beautiful and precious, highlighting strength, love and wisdom. I would love it if you would share your stories here on this blog, so many people can connect and see that we are not alone in our experiences. 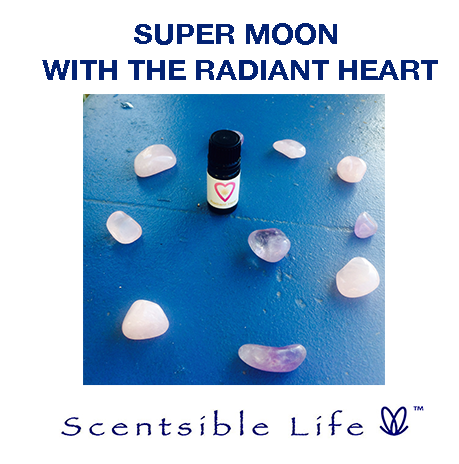 This entry was posted in General and tagged and Wisdom, Love, Radiant Heart, Strength, Super Moon. Bookmark the permalink.